My favorite theme by far has to be eppz. It is easy on the eyes and looks beautiful (used in the “Before” screenshot above). Tweaking eppz with Polychromatic was a bit tricky for me to get right. 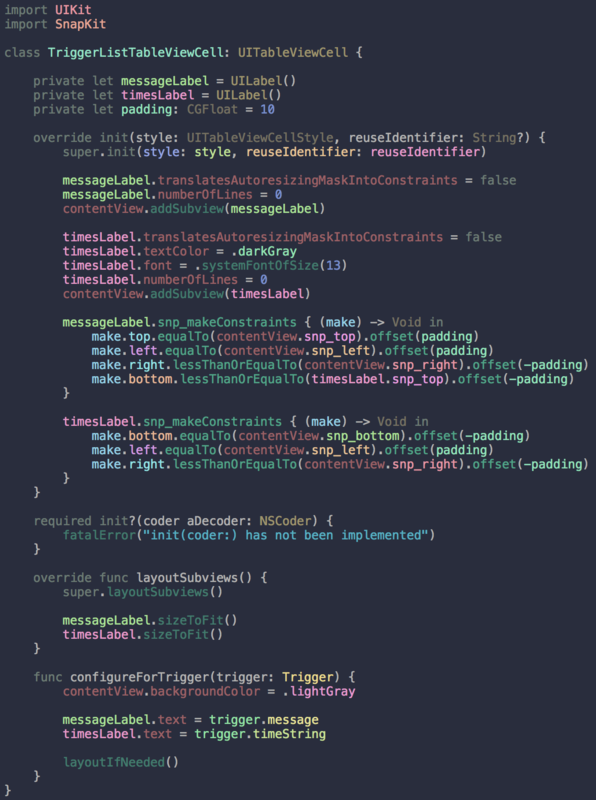 If you’re interested, here is my .dvtcolortheme file that you can import into Xcode by copying it to ~/Library/Developer/Xcode/UserData/FontAndColorThemes. One of the problems with using darker Xcode themes is that the I-beam cursor is hard to find. @stumbling_eric solved this. He made a replacement cursor that is much easier to spot! In-between commits, I often leave TODOs sprinkled in my code. To avoid letting them slip into the repo’s history, I prefer to have Xcode make them as noticeable as possible. Wouldn’t it be nice if Xcode highlighted them as warnings? @jakemarsh to the rescue! He wrote a post on how to have Xcode highlight TODOs on a per-project basis. To make the script in the post work for Swift, you’ll want to add a -or -name "*.swift" clause in the find command. I was recently introduced to VVDocumenter and immediately fell in love. 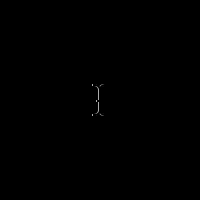 VVDocumenter generates documentation for functions (or any code) by simply typing ///. A wonderful feature of Xcode is the document outline that can be toggled from the toolbar or by pressing ⌃6. However, the default shortcut is hard to reach, so I usually remap it to ⌃`. 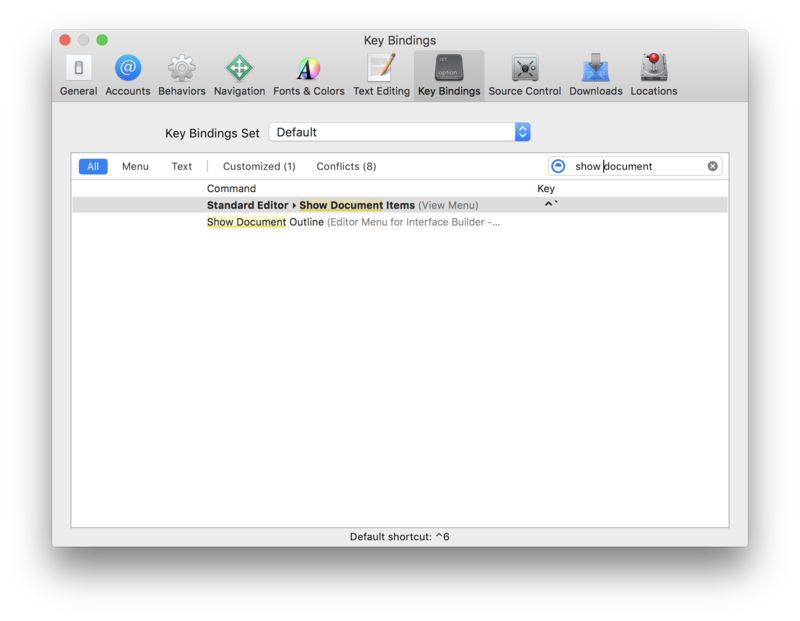 This setting can be changed via Preferences > Key Bindings and then searching for“Show Document Items”. Have a project with long compile times? Chances are you context switch while building. I’ve often caught myself getting distracted way after my build finishes. To prevent this, I added a custom Xcode behavior to make a sound when builds finish! Have any Xcode plugins or tweaks you love? Let me know!